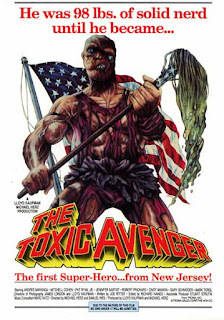 News on the Toxic Avenger Remake is Arnold Schwarzenegger star of The Terminator, Conan and Predator is in talks to star in this reboot about 98 pound nerd that falls into toxic waste and becomes transformed into a deformed monster superhero in the New Jersey town he lives in. Toxic Avenger is a low budget cult classic from the 1980s that spawned many sequels, none better than the first. 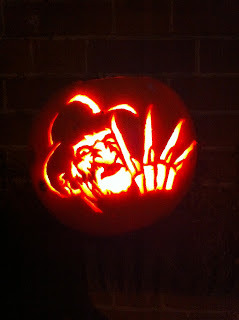 I remember when I first saw it on late night cable TV, I was 13 years old, and the movie blew my mind! 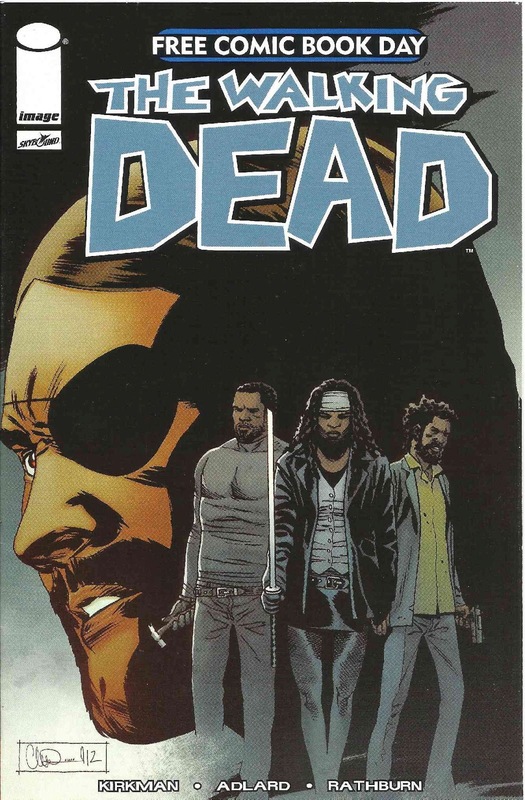 it was so over the top funny, gory and loaded with off color humor! I still remember the scene where the click of gym rats ran over the kid riding his bike. It was equally funny how they exploit New Jersey stereotypes as well. Years later this movie still makes me laugh. Whenever the remake comes out, I will definitely go see it, but it will be tough to top the charm of the first film. Here is the trailer from the first film. Coming in August 2013, He-man and the Masters of the Universe will collide in a with the Heroes of DC Comics which will include Superman, Wonder Woman, Batman and more. 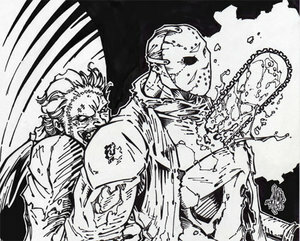 Here is a interview with the author of the upcoming comic. " Shop 2CoolGhouls "
After a long hiatus, Masters of the Universe returns! What are they doing in the DC Universe? Keith Giffen: Basically, just getting on everybody’s nerves. Culture shock lives! 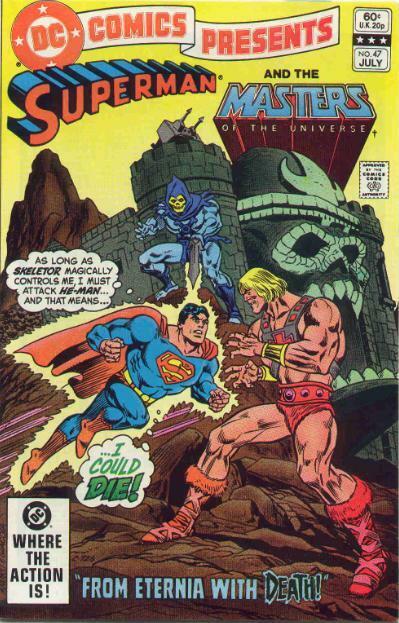 Actually, they’ve come to stop Skeletor from doing to the DCU what he’s always wanted to do to Eternia. How did Skeletor even GET to Earth? KG: That’s the great thing about magic. You can do ALL kinds of convenient things with it. By the way, what makes you think Skeletor came to the DCU voluntarily? 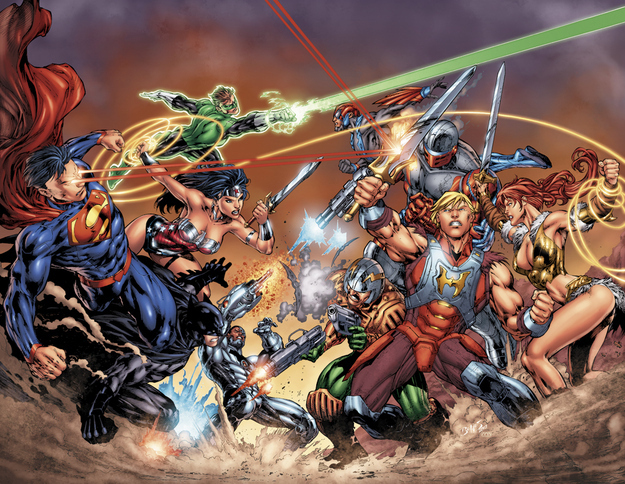 Why do the superheroes and MotU see each other as a threat — or at least are at odds with each other? KG: That seems to be the rule for team-ups; fight, talk, team up. I’m not saying there won’t be conflict between the MOTU and the DCU characters, just that we’re going to try to dodge the obvious cliches. Whose sword wins in a fight? He-Man’s or Wonder Woman’s? KG: Teela’s. She’s my favorite to write, so she gets the win. 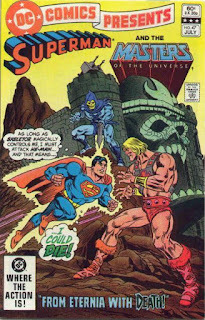 This isn't the first time The Masters of the Universe and DC Comics characters were paired in a crossover comic, back in 1982 DC Comics released Superman and The Masters of the Universe From Eternia with Death in this comic Skeletor casts a spell on Superman and commands him to fight He-man.
" Shop 2 Cool Ghouls "
I found a cool original Movie Short called The Nightmare Ends on Halloween II Features Horror movie Icons Michael Myers, Freddy Krueger, Pinhead and Leatherface from Texas Chainsaw Massacre. In the spirit of May 4th better known as Star Wars Day I figured I would blog about one of the first Star Wars related TV shows I saw as a child. 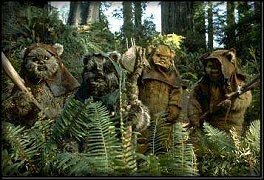 The Ewok Adventure starring the Ewoks from Star Wars The Return of the Jedi film. It stars Warwick Davis from Willow and B movie horror films Leprechaun fame. 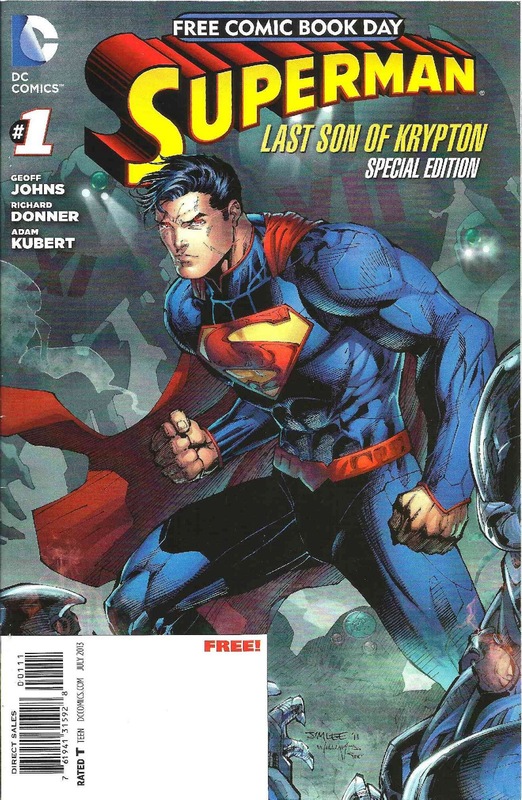 Its Free Comic Book day if you didn't know. Its Saturday and I got up bright and early and headed out to my local comic book store. There was a lot of people crowding the table set up for the free comics. 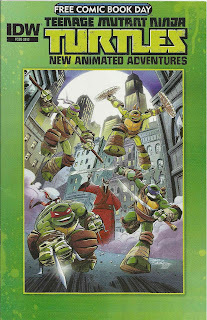 I managed to pick up Superman, Judge Dredd, Teenage Mutant Ninja Turtles and The Walking Dead. I finished reading Superman, and now half way thru Judge Dredd. 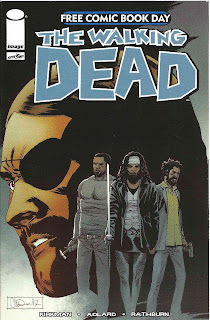 I also bought another Walking Dead and a He-man Masters of the Universe comic as well. 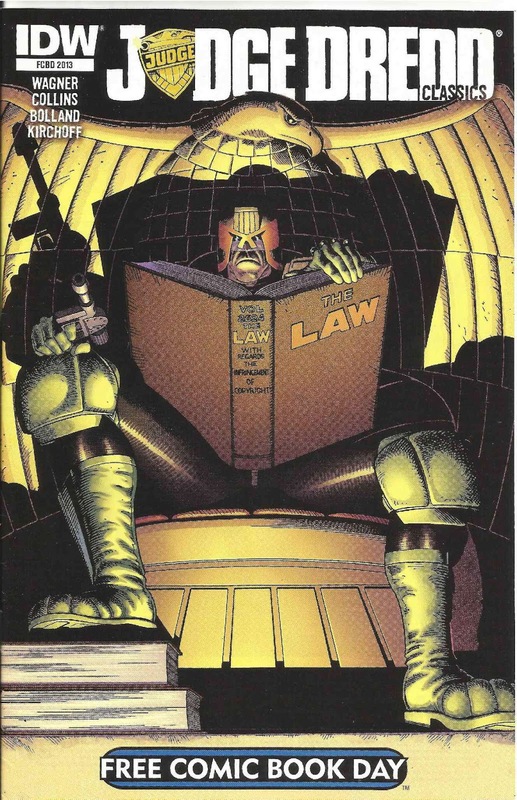 What a nice way to harken back to a simpler time with reading a cool comic book.